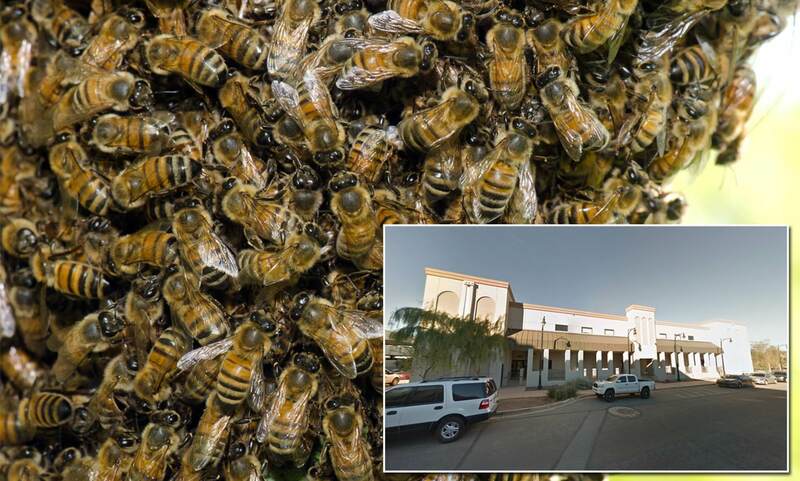 In a shocking development, in Yuma County, Arizona, a man died after being stung by bees at his residence on Sunday. The incident occurred at around half past six on Sunday evening when the victim Epigmenio Gonzalez decided to rid a couch in his garden. However, things went completely haywire for the man as the bees in the hive turned aggressive at the intervention and instead attacked him. He was stung to death according to a statement from the Yuma County Sherriff and was declared dead after he had been taken to the Yuma Regional Medical Center. According to the statement released by the Sherriff, Gonzalez was brutally stung by the bees, and despite running away from the bees, he could not survive. The statement said, “The victim then ran to his front yard where he was located by Deputies, and Rural Metro covered with bees. Rural Metro sprayed the victim with water to allow first responders to remove the victim from the scene.” The statement added that personnel from the Yuma County Sherriff’s Office, who had rushed to the scene, had also been stung by the bees. However, none of them needed any treatment. The effect from bee sting can cause extreme pain for those who are stung, but if the person suffers from an allergic reaction from the sting then the effect can be devastating. It can spread very quickly and cause enormous harm. However, when a person is attacked by a swarm of bees from a beehive, then the whole thing becomes a different proposition altogether. In addition to that, Gonzalez’s actions had also apparently angered the bees, and they proceeded to attack him viciously. In this regard, it is also important to point out that if people who find a beehive in any part of their property, then they should contact professionals who can dispose of the hive, rather than trying to do it themselves. It is indeed unfortunate that Epigmenio Gonzalez decided to dispose of the beehive on his own and ended up paying the ultimate price. In addition to putting oneself in danger, the act puts others in the vicinity in danger as well, and that is why it is perhaps better to call for professionals.